In Florida, if you operate a vehicle in a manner that is deemed as a willful or wanton disregard for the safety of other people, you could be charged with Reckless Driving. Reckless operation in Florida, depending on the circumstances, can be charged as either a misdemeanor or a felony. It depends on whether the person caused serious bodily injury. 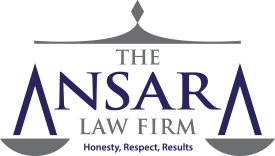 At The Ansara Law Firm, our Fort Lauderdale criminal defense lawyers have successfully defended clients from reckless operation charges in many different scenarios. Defendant did so with a wanton or willful disregard for the safety of other people or their property. This is further spelled out in Fla. Std. Jury Instr. (Crim) 28.5. What is willful or wanton conduct? Florida courts have ascertained that “willful” means something that is done with intention, knowing or purpose. “Wanton,” meanwhile, is understood to mean that the vehicle was driven by someone who showed conscious or intentional indifference to the consequences, even with the knowledge that damage was likely to be inflicted on either persons or property. If you flee from a law enforcement officer, per F.S. 316.1935, that is understood to be reckless driving per se, which means it is intrinsically or by and of itself automatically reckless operation. It’s helpful also to understand what reckless operation is NOT. Reckless operation is NOT mere negligence. A lot of times, people confuse “reckless operation” with “careless driving,” but they are in fact two different crimes with two different proof burdens, reckless operation being the more serious of the two. Per the 2005 Fla. 5th DCA case of D.E. v. State, simple carelessness or ordinary negligence while operating a vehicle aren’t enough to prove reckless operation of a vehicle in Florida. In order to prevail in a reckless driving case, the prosecutor will need to show the person’s actions were both purposeful and knowing or were carried out with conscious disregard for the serious consequences. This was outlined in the Fla. 1st DCA decision of W.E.B. v. State in 1989. To make this determination of recklessness, the judge or jury needs to decide if the defendant’s actions, in consideration of the surrounding circumstances, meant that death, bodily harm or property damage was foreseeable. The penalty for reckless driving will depend on whether there was damage done as a result of the driver’s actions and the extent of that damage. In particular, if you hurt someone, you could be facing a much more serious charge. In cases where property damage or bodily injury is involved, the penalties go up drastically. Any one of these criminal charges could greatly impact your future educational, employment and housing opportunities, not to mention your freedom. Contacting an experienced defense attorney is critical to minimizing the damage. Charge is based exclusively on excessive speed allegation. Generally speaking, excessive speed on its own is not grounds for prosecutors to prevail on a reckless driving charge. That’s been the ruling by at least three different appellate courts in Florida. For example, in House v. State, a 2002 ruling by the Fla. 2nd DCA, it was decided a driver traveling 60 mph in a 30 mph zone and then slammed his brakes just before hitting another car was not guilty of reckless driving. However, if you’re excessively speeding in addition to some other infraction, such as improper passing, driving through a crowded residential area, not keeping a proper lookout for pedestrians, driving drunk or ignoring a stop sign, then you could be convicted of reckless operation. If you have been charged with reckless operation, you need a good defense lawyer.